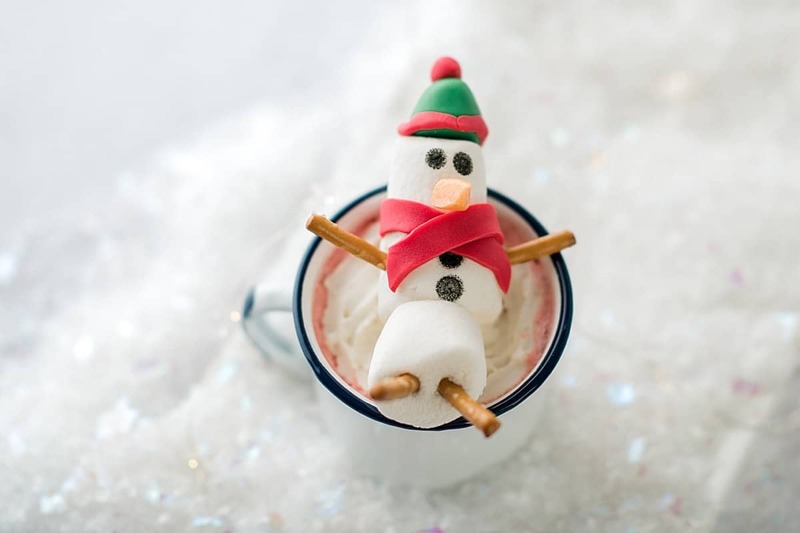 Snowman Marshmallow Hot Chocolate Toppers – A Snow Day Activity with step-by-step instructions. 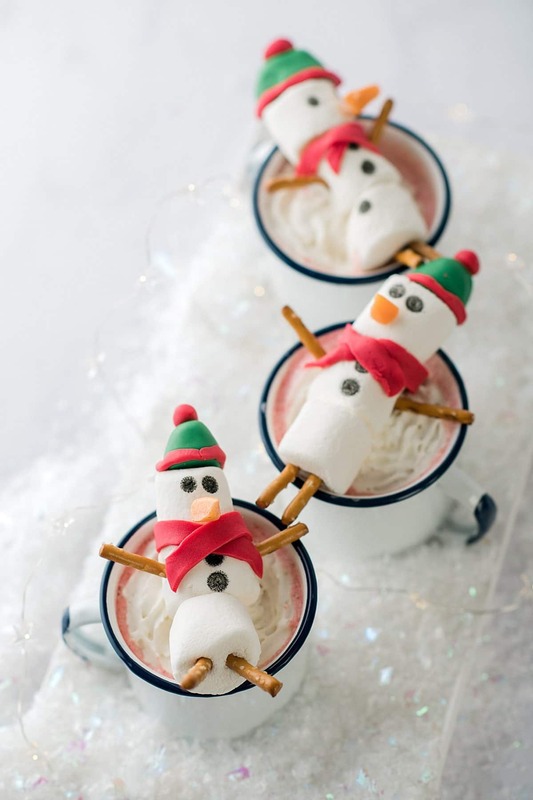 Make some hot cocoa and get busy! I know what it is like to be on snow day #47. When we lived in Virginia, I’m pretty sure we didn’t have a full week of school the entire winter. The first day or two is kind of nice. You cuddle on the couch and watch movies and relax. But by day #3, you are all ready to be done with it (that’s my nice way of saying strangle each other) and send everyone back to work and school. Everyone is shack wacky and needs something to do. 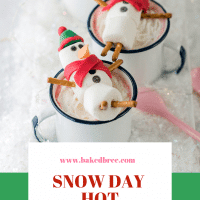 I’m a big fan of a snow day activity that doubles as a craft and then a snack. 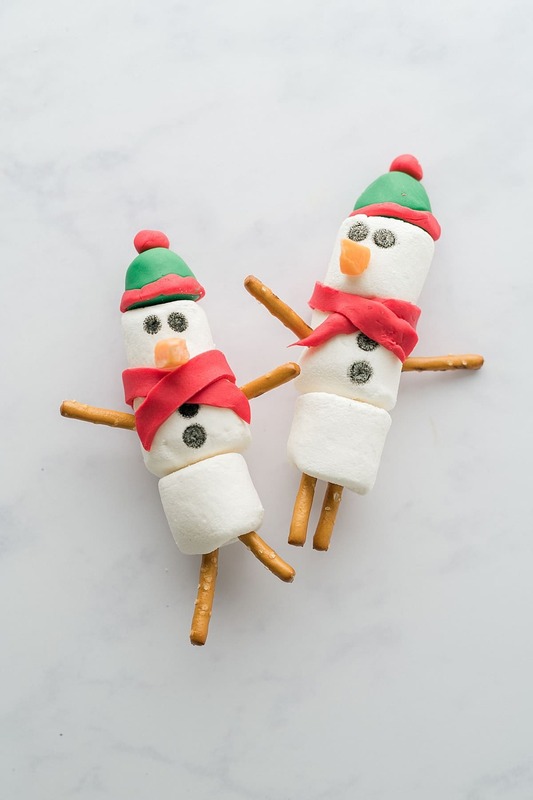 This is perfect for a day when you spend some time playing in the snow or sledding and coming in to make these marshmallow snowman toppers and a cup of hot chocolate. 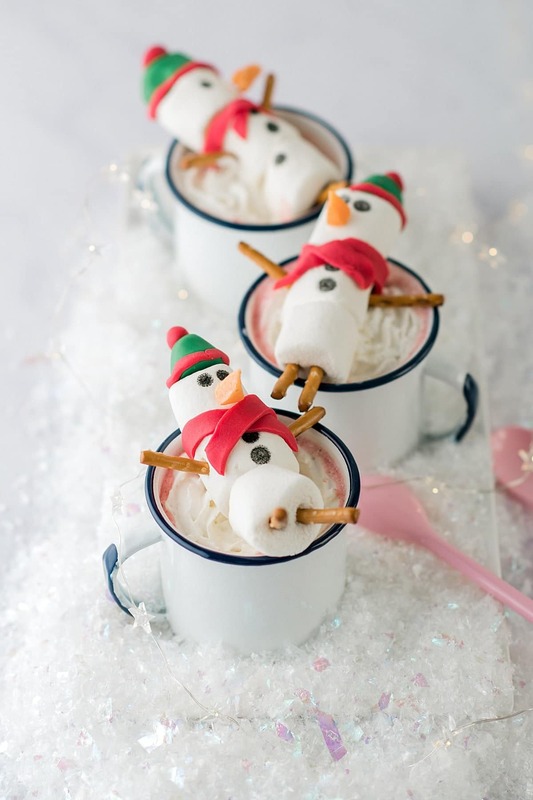 I made these with my kids and we really had a good time. The only thing that you might not have on hand is fondant, but you can now buy small quantities at Michaels or a craft store, I’ve even seen some in the grocery store. The MVP of this craft is toothpicks. They are what hold the little guy together. 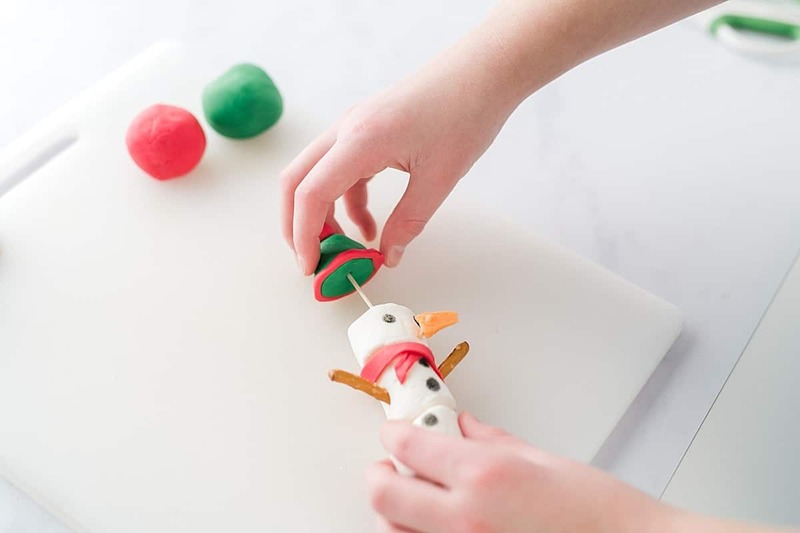 If you are doing this with little people, then you might want to get everything ready to go before you start (except the fondant, you don’t want it to dry out) and cut up some toothpicks for the nose and hat. If you don’t have a food marker, you could use a little melted chocolate. Or some black food gel and a paintbrush to paint on the eyes and buttons. 1. 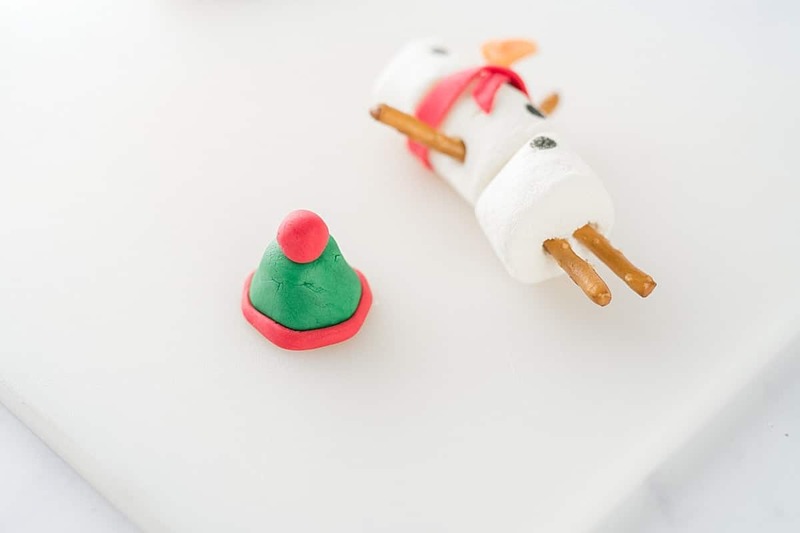 Put a toothpick in the top and bottom of a marshmallow. 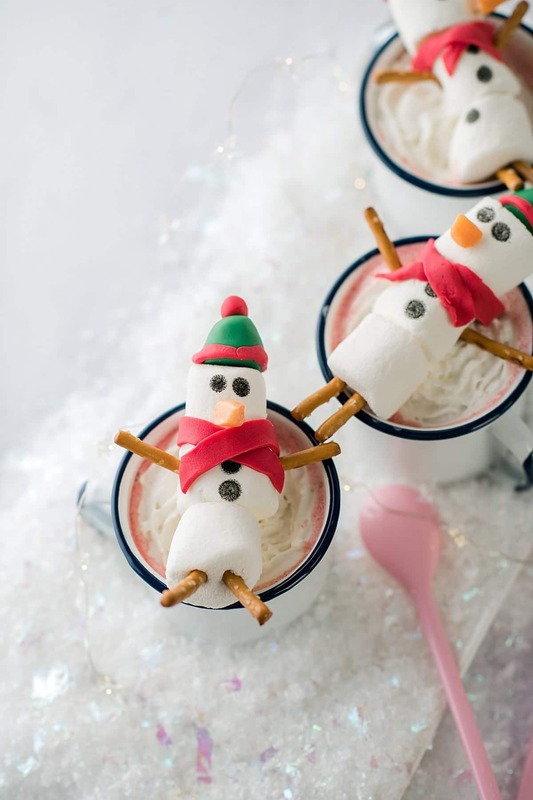 Add a marshmallow to the top and another to the bottom. 2. Snap pretzels in half. 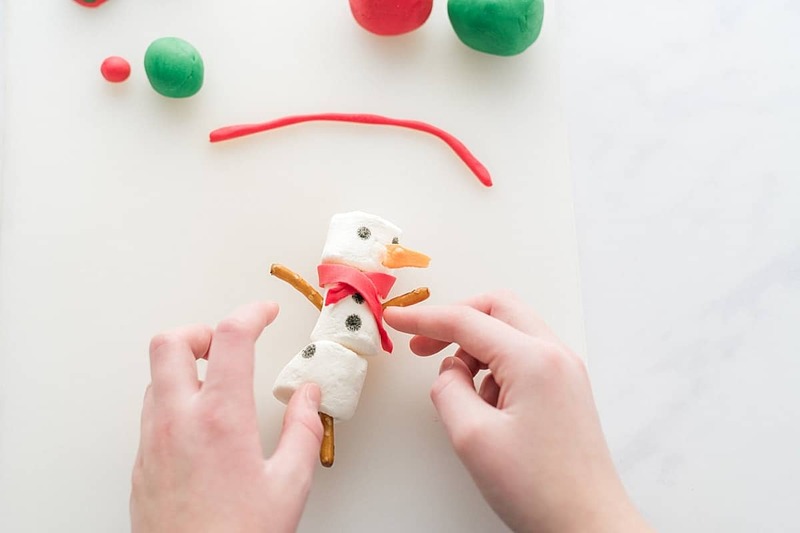 Press them into the sides of the marshmallow for arms and legs. 3. Cut a Starburst into a triangle shape. Cut a toothpick in half. 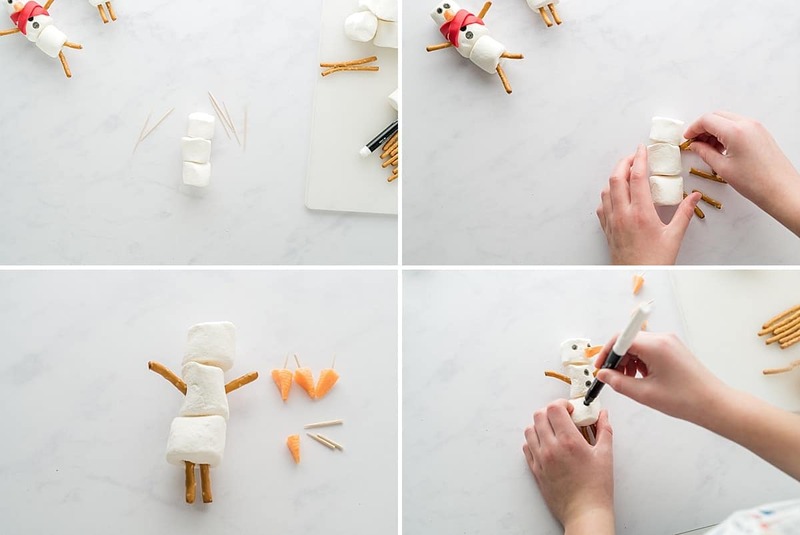 Press the toothpick into long edge of the Starburst and then press into top marshmallow for the carrot nose. 4. 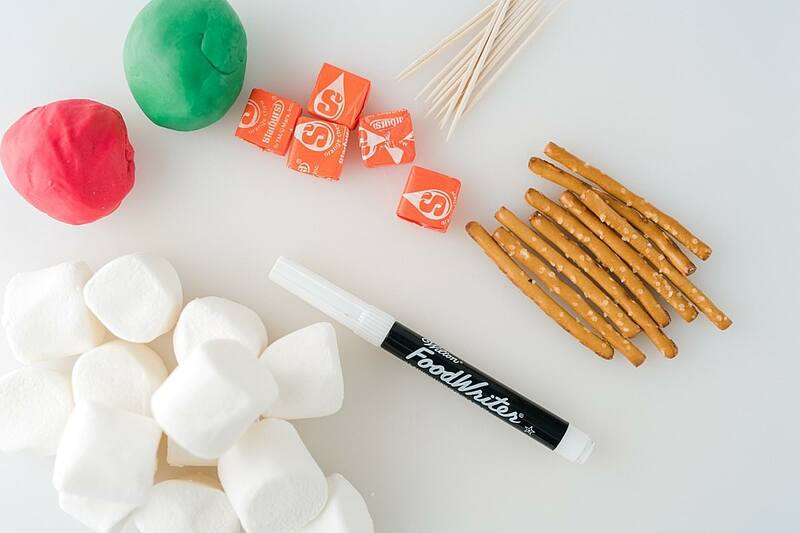 Use a food marker to add eyes and buttons. 5. 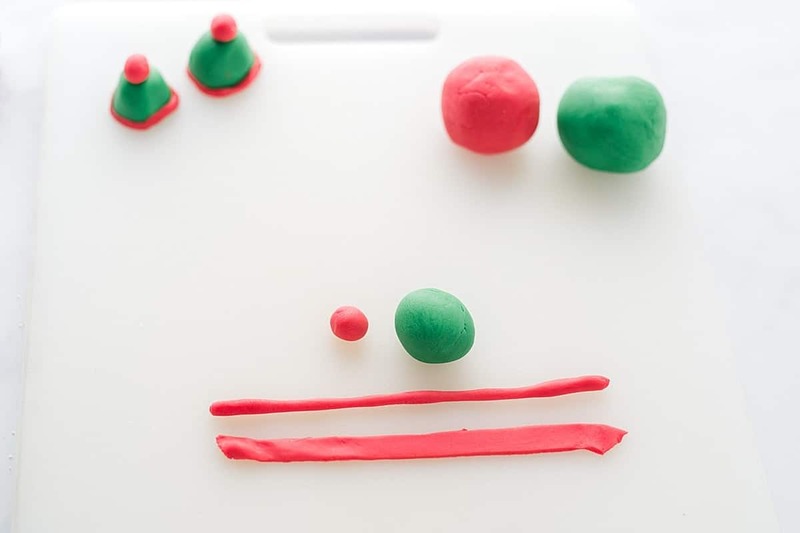 Break off a walnut size piece of green fondant and a pea size piece of red fondant for the hat. Roll into a ball. Take another piece and roll into a thin rope. This is for the rim of the hat. You need one more piece of red for the scarf, roll out with a rolling pin and cut into a strip. 7. Work the green ball into a pyramid shape, then work it into more of a hat shape. They taught hat shape in school, right? 8. Break a toothpick in half and insert it into the base of the hat. Then put the hat on the snowman. 9. That’s it! How cute are these guys? Wondering why the hot chocolate is pink? 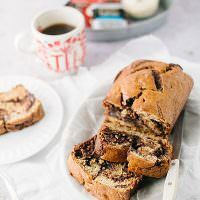 We made steamed hot chocolate and used white chocolate peppermint bark. It has been a very popular drink this winter. Shack wacky – what a great phrase! Here is the U.K. we’re lucky t9 get even 1 snow day a year. Sad times. Thanks! It describes it perfectly! Thanks! We had a good time making them.